This is my second Balloon Magic Magazine review and I had chosen this one because with Christmas coming up some of these designs may prove useful. These magazines cost just $7 and are available from various sources. This is fantastic. I have been having so much fun with this Santa Mask over the last week. It looks really good, is fun to wear and has been a great success. Made of 360Qs and one 646Q, this design is big and bold and really stands out. I've had my $7 worth already! This model has a really interesting design to make up the main body of the Racoon. Very useful for future models. My version of the Racoon doesn't look as nice as the original. It looks better in real life than in the photo. I had fun making it and it is fairly easy. If you are looking for a fast and simple Turtle then this is a good one. Not so sure it has the best shape for a turtle but it is quick and easy to make. The children I showed it to thought it was a frog! A quick and easy hippo. The use of tulip twists for the ears is a nice touch but if speed is important then normal bubbles can be uses. Fast to make and could be used for line work. A really cute Giraffe. This is quick to make and I like the use of a yellow round for the nose and mouth. I decided to mount this one on a geo-base and add a tree. It made a quick and easy display piece. 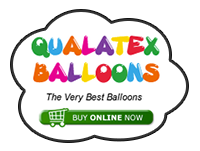 Last year I tried and subscribe to Balloon Magic magazine through Qualatex Italian Importer but, at the end, they didn't fulfill my request. Should I get in contact directly with Pioneer? Do they send the magazine over to Italy? Yes Pioneer in America will sort out the details for you. Don't be disheartened, you created something that is in print already, that can only be a good thing that your model is good enough to be sold! Someone else had the same idea, and got there before you! So i suppose it saves you doing the research to see if its been made before. Go ahead and do your design. There are so many giraffe designs around. 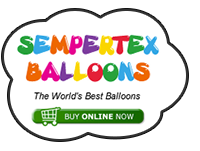 Many use a round balloon as the nose and so it is very hard to know who the originator was. You haven't copied anyone. Great minds think alike! A great star that can be used for many purposes. This one uses a single 260Q and is very fast to make. It took me two attempts to get it right as I read the instructions wrong on the first attempt. This Christmas Tree is intend to be a hat. However it is free standing and looks great. I put it on top of a computer monitor and it hasn't caught fire as yet! Very nice. Another brilliant edition of this magazine and incredible value at just $7. The Santa Hat is the best thing for me here but all the designs are equally useable and good.